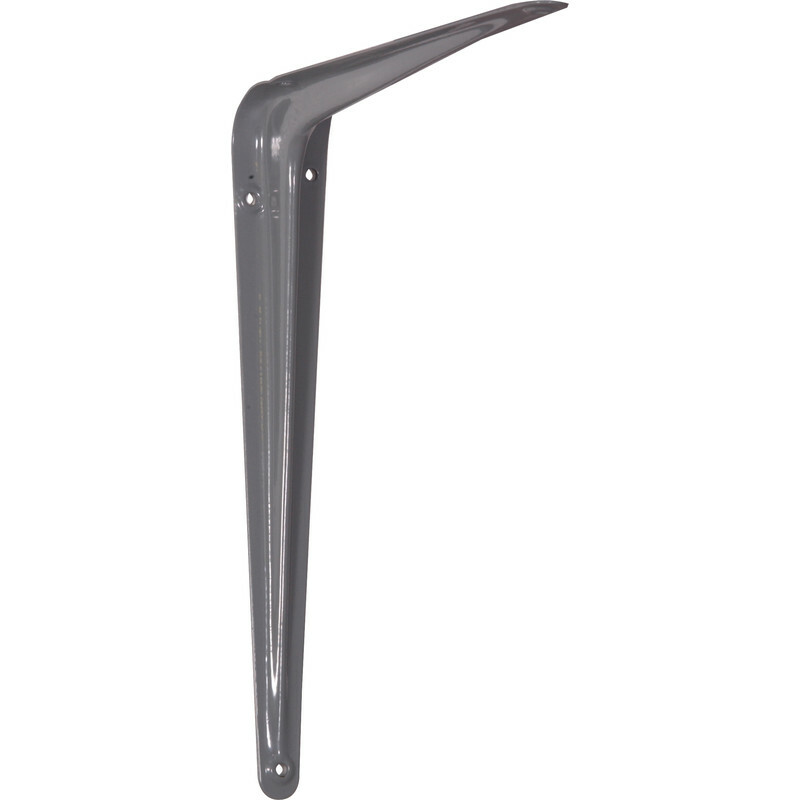 London Grey Shelf Bracket 250 x 200mm (20 Pack) is rated 4.3 out of 5 by 25. Rated 1 out of 5 by RafalT from Soft metal and already covered by rust Disappointing quality of this product, I bought those support from other store before and they were much stronger and much better quality. The tips of the supports are soft, you can bend them applying small force and the paint flakes away showing metal covered by rust. Cheap bad quality product. Rated 5 out of 5 by chris010 from It's a bracket Good quality, individually wrapped so will keep fresh until I need to use the rest. Great price and service was second to non. Delivered next day even though we live in Northern Ireland. Rated 5 out of 5 by MissScarlet123 from Great Brackets Well Priced I bought a couple of packs of these brackets for my husband to put up in his workshop as supports for shelving. The brackets arrived promptly and were in perfect condition and were the type we were looking for. They are very sturdy and perfect for a workshop. Very pleased with them. Rated 5 out of 5 by Ian4c from Good value indeed Bought two boxes. Very good value. A couple brackets in each box had rough paint which fell off and showing rust under. Having said that it was not a problem being fitted in a dry environment. Rated 5 out of 5 by JimmyG from Just the item for the job. Very happy with the brackets. Sturdy enough for the job and a great price.